We hope you all had a lovely Christmas break and wish you a very Happy New Year! Thank you once again for all our lovely and thoughtful gifts. The children have made a great start to the new term, beginning their new topic, the Romans. In English, we have begun our latest unit all about stories in historical settings. 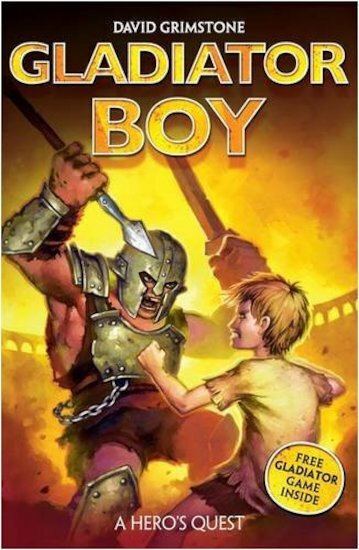 This links really well with our topic on the Romans and the children have enjoyed the first few chapters of our class book, Gladiator Boy, by David Grimstone. This week the children have produced some lovely character descriptions of the main character Decimus Rex and over the next few weeks, the children will build up to writing their own stories set in history! Don't forget Thursday 22nd January is Roman Day where we would like the children to dress up ready to take part in a fantastic Roman workshop. We thank you in advance for helping with their costumes! In Maths, Mrs Renier's class have been exploring fractions and Miss Clements class, practising their written methods. Please see Miss Clements's help sheet which shows how the children have been completing written methods of addition in class. This should help you assist children with their homework.